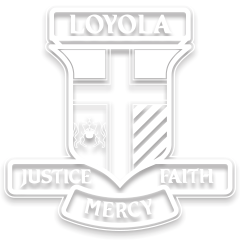 Loyola College recognises the importance of developing the unique potential of each student, and in doing so, supporting students’ growth – spiritually, academically, emotionally and physically. Fostering positive relationships is pivotal to our philosophy, underpinning all that we do in ensuring that all students feel connected to school life. As such, both our House system, together with the vertical Mentor groupings and programs, support and enhance our commitment to student wellbeing. Our programs and approaches to wellbeing are underpinned by the framework Positive Psychology through an Ignatian Lens, which not only supports our Mentor and Student Personal Development programs, but also enhances the way in which we work with students in the classroom. Restorative Practices, which underpins our current student management process, also complements the practice of Positive Psychology. In addition, our Student Services Department works collaboratively to support all aspects of student wellbeing.